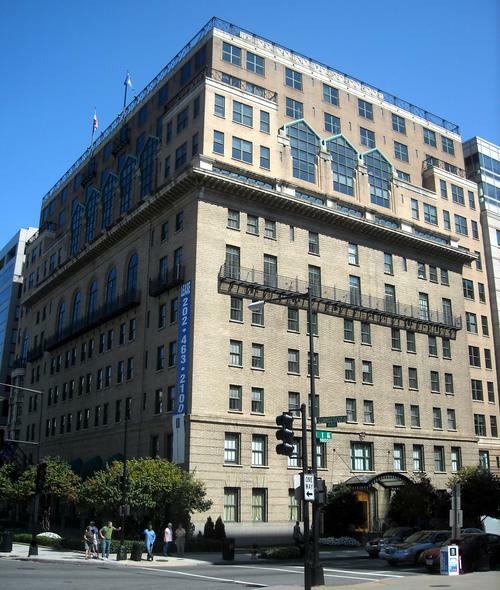 The Army and Navy Club Building is a high-rise building in Washington, D.C. The building rises 12 floors and 157 feet (48 m) in height. The building was designed by architectural firm Shalom Baranes Associates PC and was completed in 1987. As of July 2008, the structure stands as the 24th-tallest building in the city, tied in rank with 1620 L Street, 1333 H Street, 1000 Connecticut Avenue, the Republic Building, 1010 Mass, 1111 19th Street and the The Watergate Hotel and Office Building. The Army and Navy Club Building is an example of modern architecture, and is classified as a mixed use building; it is composed mostly of office space, with 337,000 square feet (31,000 m) of commercial area, but also contains a clubhouse for the Navy and Army Club that includes a conference center, restaurant and fitness center. The three basement levels are used as parking space, containing a 177-lot parking garage.